Sneak in Fruits & Veggies! Calorie intake from sugared drinks nearly tripled in the last 30 years. Now, sugar-sweetened beverages are the single largest contributor of calorie intake in the United States and is linked to a whole range of health problems including Type 2 Diabetes, obesity, high cholesterol, high blood pressure, and dental cavities. Heavily sugared “coffee drinks” are a new part of the problem. Just one soda a day doubles a woman’s risk of diabetes, according to the Harvard Journal of Public Health. Two sodas raises her risk of heart disease by 40%. 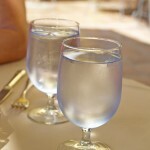 Water is your body’s principal chemical component and makes up about 60 percent of your body weight. Water is necessary to flush our systems of waste products and toxins, yet many people go through life dehydrated—causing tiredness, low energy, and headaches. It’s common to mistake thirst for hunger, so staying well hydrated will also help you make healthier food choices. Of the many options for what to drink, without a doubt, water is the best choice: it’s calorie and sugar free and it’s as easy to find at the nearest tap. 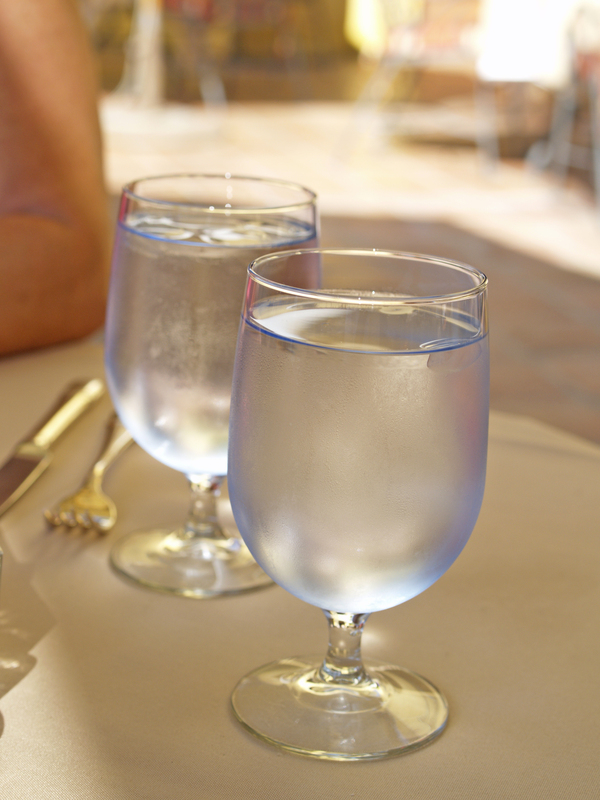 The rule of thumb: drink at least 8 – 12 glasses of water a day! The average can of sugar-sweetened soda or fruit punch provides about 150 calories. If you were to drink just one can of a sugar-sweetened soft drink every day, and not cut back on calories elsewhere, you could gain up to 15 pounds in a year. Cutting back on sugary drinks may help control your weight and may lower your risk of type 2 diabetes. 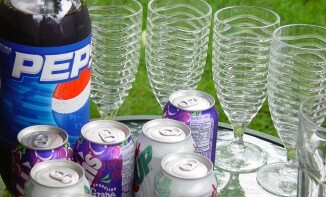 “Diet” drinks with artificial sweeteners may condition our taste buds to crave super-sweet foods. Plain old water is the best calorie-free beverage—but if it’s just too plain, try adding a squeeze of lemon or lime or a splash of 100% fruit juice. Plain coffee and tea are also healthy calorie-free choices, in moderation. Sports beverages are designed to give athletes carbs, electrolytes, and fluid during high-intensity workouts that last an hour or more. For the average work out, they’re just another source of empty sugary calories. Water is all you need to stay hydrated. These pricey concoctions have as much sugar as soft drinks, enough caffeine to raise your blood pressure, and an unpronounceable list of herbs and additives whose long-term health effects are unknown. No one needs them. Most kids and adults get too much juice and too little fruit. Fruit juice isn’t as healthful as most people think. It’s loaded with calories. Whole fruit has fewer calories, and unlike juice, it has fiber. Fiber helps keep you healthy and it also helps you feel full. For infants and babies from birth to 12 months of age, breast milk is the best source of health and nutrition a parent can provide. It contains the perfect amount of vitamins, minerals, and digestible protein a child needs to grow and leads the way in preventing later obesity in children. Are Juices Really Good for You? Coffee and tea: These are calorie-free, as long as you don’t load up on the sugar and cream. They are safe for most people and may even have some health benefits. 100% fruit juice: Fruit juice has vitamins, but it is high in calories, so stick to no more than a small glass (four to six ounces) a day. Milk: Milk is also high in calories, so there’s no need to drink more than a glass or two of low fat or skim milk a day, and less is fine, if you get your calcium from other sources. Artificially sweetened drinks: These have no calories—a plus—but their long-term effects on weight and health are unknown; further, they add to a person’s sweet tooth and can increase your sugar intake in the long run. It’s best to limit them, if you drink them at all. Alcohol: Alcohol is both a tonic and a poison, and the difference lies in the dose and the person drinking it; moderation is key.